Prospective clients often ask, “Do you have a preferred style?”. The answer…NO! We work with our clients to determine the design concept and often draw inspiration from architectural and regional influences. The concept seems straight forward. We have the advantage of designing with a timeless foundation while empowering our designers to deliver unique design solutions with their personal “twist”. The result? One of a kind design solution created with passion, intelligence, and heart. Who are the T&T designers producing amazing results? We will introduce our incredible team members one by one and share their personal love for design as well as their favorite trends. Who’s up first? 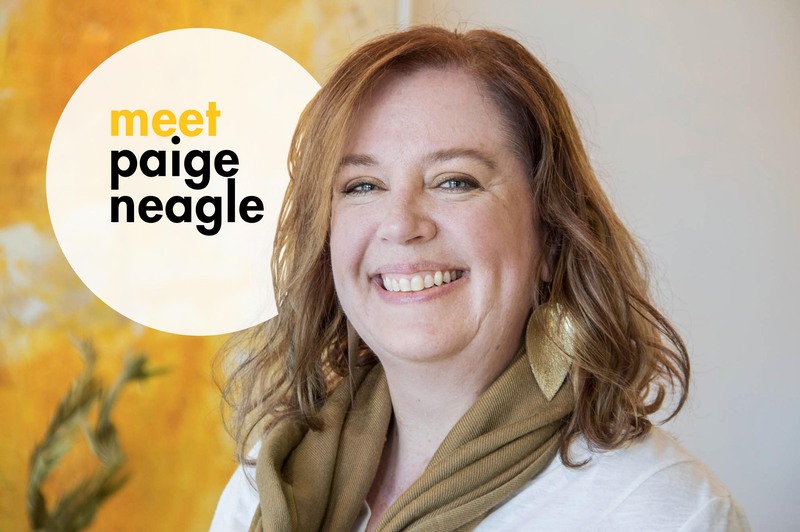 Meet Paige Neagle! Paige first knew she wanted to be a designer when she was nine years old. She accompanied her father, who was enrolled in an underground homes architecture course, to a gathering at the professor’s house. Paige remembers, “The underground home was incredible! The architecture was hidden so I was drawn to the interior environment. There was a hole in the ceiling and a tree growing in the middle of the house. It was so cool! I knew immediately I wanted to be a designer”. Paige is inspired by history and people. 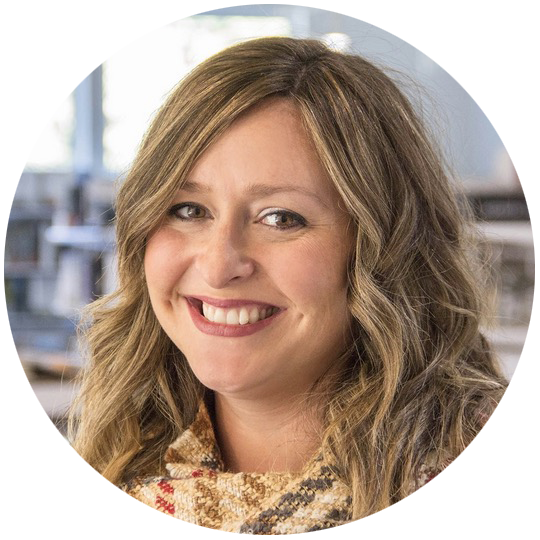 She spent time in London studying historical architecture and interiors and while she enjoys watching trends, she incorporates her love for history within every design. OH- and she LOVES cane… anything cane! Cane furniture, cane screening elements, if it’s made of cane- she’s all in! “My love of cane relates to my love for history. I loved cane even when it wasn’t popular. The first chair I ever purchased was a cane chair. I purchased it at a garage sale and had it for years.” We’re seeing a huge resurgence in cane furniture ranging from residential to commercial applications. How do you incorporate historical elements and keep a fresh design? Like everything in life and fashion, the same applies to interiors. “What once was old will soon be new again!” Our current favorites include terrazzo, gold or brass metals, mixed materials, and artisan crafted textiles, art, and furnishings. 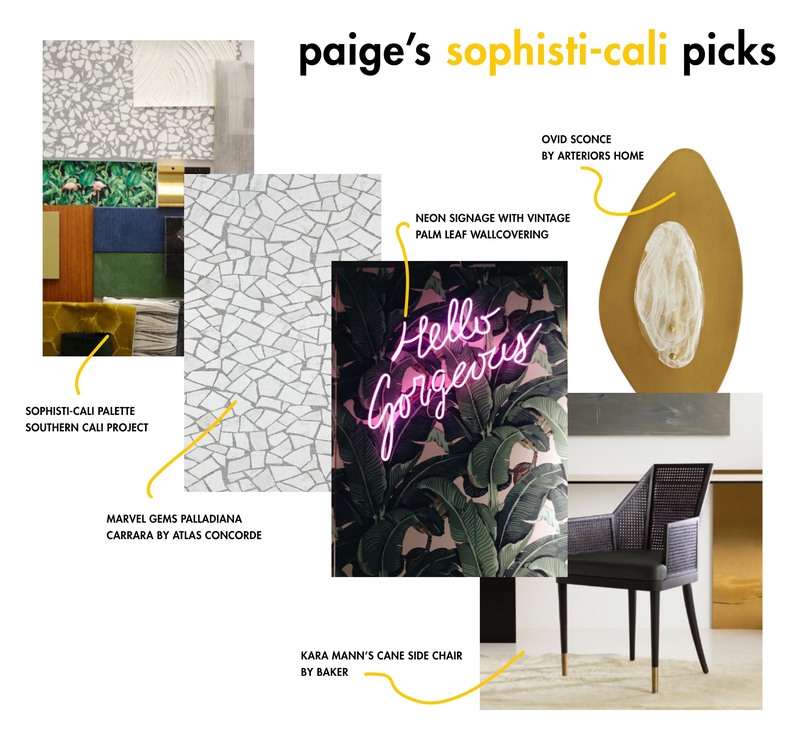 Paige “nailed it” on a recent design package for a southern California mid-rise project. The concept was appropriately named “Sophisti-Cali”. She implemented modernized terrazzo flooring, high contrast materials, and brushed brass metal finishes. We’re seeing a huge resurgence in cane furniture ranging from residential to commercial applications. Okay, seriously: what keeps design fresh? To keep it fresh, sometimes we have to fly our freak flags! Paige included whimsical large-scale palm leaves and flamingos (Yes, Flamingos!) which sets the bar for an aspirational interior environment. She was also able to work in some very trendy features at focal walls for added interest.